South African batsman Hashim Amla has been the mainstay of the batting line-up for his team for quite some time now. Previously, he was considered a Test specialist but his ODI record proves that he is fit for white ball cricket as well. Once he drops the anchor, the right-hander is a pretty tough customer to dismiss. But every batsman has a bowler or two that become the nemesis. 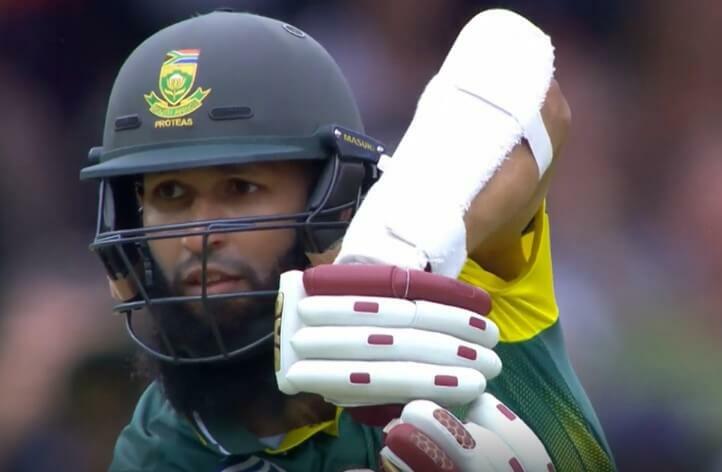 Hashim Amla too had a tough time against a Pakistani pacer. He named Mohammad Asif as the toughest bowler he faced. Asif, before getting banned in 2010 for the spot-fixing scandal, was a terrific bowler who was a difficult bowler to line up. Not only did Amla name Asif as the toughest bowler to face but also termed him as a magician. Asif could swing the ball both ways. He wasn’t express in pace yet he could deceive the batsmen with his accurate lines and movement off the surface. “Mohammad Asif is the best one [I faced], and [I know] he got banned for [spot] fixing but at that stage, he was the best fast bowler I’ve ever faced. He was not quick, 135kph maybe, but his accuracy was phenomenal. We played him in South Africa and even in Pakistan in 2007. [If] he landed in the first stump I didn’t know if it was nipping away or nipping in… He tested your defence really, to the maximum,” said Hashim Amla as quoted by SuperSport. “Funnily enough, as the years have gone by, meeting other cricketers from home, the world over, just loosely chatting… so many of the guys feel exactly the same thing. They said Mohammad Asif was a magician of the ball in a way,” added the right-hander.